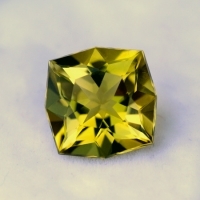 Golden green quartz is known by a few different names. 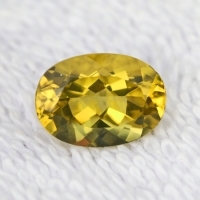 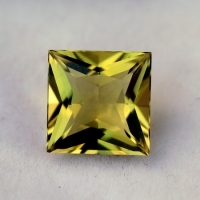 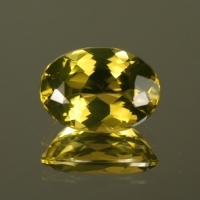 The most common names are Oro Verde quartz or Oro Verde citrine. 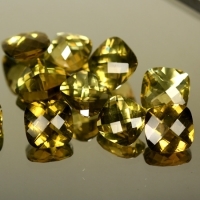 Quartz from certain mines in Brazil produce a light brown to yellow colored material that is then irradiated to produce the green gold color. 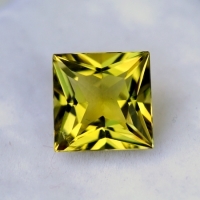 The stones are safe with no residual irradiation. 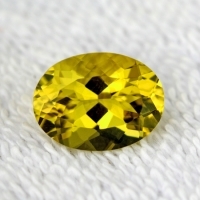 The color is stable unless heated to a few hundred degrees. 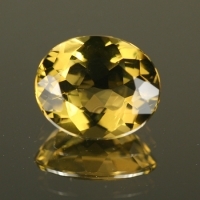 Quartz is a durable gemstone suitable for all forms of jewelry.